Blyth Academy Downsview Park is proud to announce that one of our student-athletes, Stephen Halliday, was selected 1st overall by the Central Illinois Flying Aces in the USHL draft. What a huge accomplishment, congratulations Stephen! Blyth Academy Downsview Park Grade 5 students, Rylan and Jake, were chosen to be part of the Future Legends Hockey Hall of Fame tournament which brought together the top 2007 born Hockey players from around the world! Well done boys! Blyth Academy Downsview Park student, Julian Dunn, has signed a professional soccer contract with TFC’s first team! Julian is a defender who made his MLS debut on April 14th in Colorado. Congratulations to Julian, what an amazing accomplishment! Blyth Academy Downsview Park hosted an Elementary Hockey Tournament yesterday! Our school entered two teams and we played against two teams from Crestwood. We are happy to announce that our teams came in 1st and 2nd place in the tournament. At the 2018 OHL Priority Selection Draft on April 7th, several Blyth Academy students were selected! Congratulations to Donovan Sebrango, Dylan Peterson, Ryan O’Rourke, Stephen Halliday and Kallaway Mercer. Blyth Academy Downsview Park is proud to announce that student-athlete, Scarlett Nicholson, won the U12 National Singles and Doubles Championships at the U12 Indoor Junior Nationals in Calgary! Well, done Scarlett! Blyth Academy is proud to share the news that one of our students attended the most prestigious U12 Tennis tournament in the world held in France, the Open Super 12 Auray 2018, where she was crowned the Doubles Champion and was a Singles Semifinalist! Blyth Academy Downsview Park hosted Hudson College and Blyth Academy Lawrence Park for our second annual Invitational Hockey Tournament. Congratulations to BDP 1 (blue) for winning the championship, finishing with a perfect record! Interested in learning more about our campus? Here is our February 2018 Downsview Park newsletter for your viewing to see events, news and much more! Interested in learning more about our campus? Here is our January 2018 Downsview Park newsletter for your viewing to see events, news and much more! Today we held our second annual BDP Winter Classic hockey game with students, parents & staff! It was a great game and ended with a whopping score of 14-13! 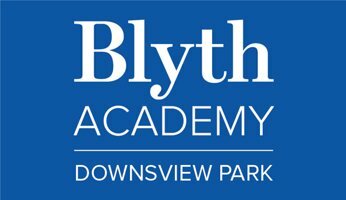 Blyth Academy offers a flexible academic program for elite athletes. This program recognizes that students pursuing a goal in professional sports have specific training and schedule requirements that require flexibility.